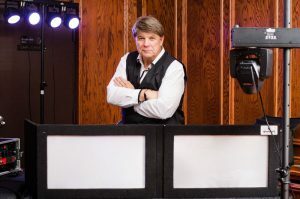 Michael has been a DJ and in the music business for over 30 years. He played bass in several wedding bands over the years. (You know it’s all about that bass.) He has been a DJ for the last 10 years and has done weddings, corporate events, birthday parties, reunions, private parties, and more. Michael has state of the art speakers, lighting, lazers and up-lighting to enhance your musical entertainment and make your event even more memorable. Mike is always upbeat and goes above and beyond to accommodate you and your guests. His energy and attentions to detail will help everything run smoothly. He is flexible and personable. You will love working with him. He is a great choice for any occasion. Mikey Mike was a great DJ! I was very happy with him and the kids were too! Thanks so much, Dean. Thank you so much for making our reception such a GREAT time!!! You are the BEST!!! Everyone had a great time! We were so delighted with how everything turned out. I have gotten so many compliments! Everyone had tons of good things to say about you!! Thank you so much for everything! You were right, the night flew by and by the time it was over I didn’t want it to end! We really had so much fun, and I continue to receive compliments from different people about how great you were. We even got compliments from people who were at the reception next to us, about how much more fun it seemed like everyone was having at ours. Those little things are what makes all the stress leading up to it all worth it, I’m so glad everyone had a good time! Thanks again for everything! Just wanted to thank you for making our party a huge success. I have heard from a lot of the people who attended and your music has been one of the topics of conversation. Everyone has said that the music and the DJ could not have been more terrific. Thanks again, I knew after talking to you the first time that I made the right choice. If I ever do this again, you will be my first call. Thanks for an awesome night of music and dancing. We had so many great compliments about your services. Thanks again for making our special night so much fun! Thanks for keeping the party moving and so exciting! We recommend you to all of our brides, and also look forward to working with you again in the future! You did an awesome job! The music was great, your enthusiasm was wonderful, and you kept the people partying. We could not ask for anything else. Rusch Entertainment is the only way to go! All our friends and family really liked the way you kept everyone dancing. Rusch Entertainment will be our family source of entertainment in the future! Thanks again for a great night! You were fun and energetic. You know exactly what to do to keep everyone happy. The dance floor was full all night. I appreciate your recommendations and flexibility regarding the start and end times, that worked perfectly. I HIGHLY RECOMMEND you as an excellent entertainment provider for any occasion. One of the things we liked the most about you was how you worked the crowd. We had an awesome time and so did everyone else. Thanks for being involved and not just playing songs! Absolutely fantastic! Never met a DJ that was so easy to work with and so accommodating. We will definitely be calling for any future event entertainment needs – Rusch and Mikey-Mike were AWESOME! Couldn’t have been happier with our DJ Mikey-Mike. He played all of our requests and knew exactly how to keep the crowd engaged. We’re still getting compliments on our entertainment. Thanks so much for making our special day so special – everyone had a great time! 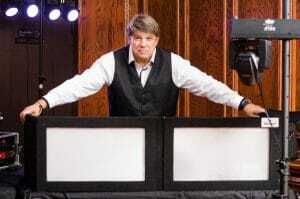 DJ Mike and Rusch Entertainment are the ABSOLUTE BEST! Everyone had such a great time – I would highly recommend Rusch and Mikey-Mike to anyone looking for a GREAT DJ! Thank you so much! Mikey-Mike worked with us and kept the party going all night long! Our reception couldn’t have been more FUN! Rusch Entertainment is not your average entertainment company and Mikey-Mike is not your average DJ. Both went above and beyond to make our day special! We couldn’t be more thrilled with the service we received. Our guests stayed until the very last dance – which almost never happens! We’ve received so many compliments on our entertainment choice! Kudos to Rusch and Mike and a thousand thank you’s for being so great. Mikey-Mike did a great job of entertaining the crowd at our event. He played the perfect mix of music and kept our guests on the dance floor all night long! Thanks a million for sending us Mikey-Mike! He was a pleasure to work with and really catered to our crowd. We couldn’t have been happier and I don’t think our guests could have had a better time!